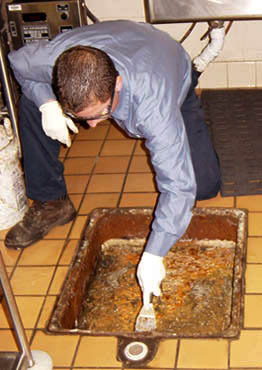 Public Sewer Service provides grease trap cleaning, grease trap installation and grease trap maintenance in NJ. Regardless of grease trap system size and complexity, we understand your system and know how to keep your waste water moving. Our grease trap services in NJ provide you with the assurance that your operation will always be flowing trouble free. For 24/7 grease trap maintenance service in NJ or emergency grease trap maintenance in NJ, contact Public Sewer Service at 1-800-508-8264. We are available every day of the year. Sewer main/systems maintenance in NJ is very complicated and delicate work that requires professional sewer service technicians to handle it. Public Sewer Service’s team has 60 years of experience that provides them with the knowledge and skills necessary to tackle any grease trap challenge head-on and solve them.